When Annie over at Annie’s Eats posted about these buns two days ago, we knew we had to make them! 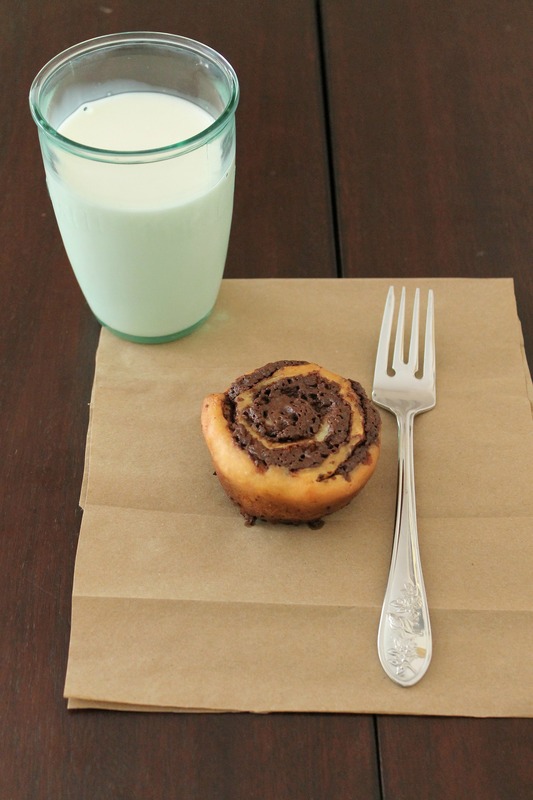 They are a mini version of chocolate babka, minus the streusel. We worked at a retirement home over the summer, and they often served babka. It was purchased from a frozen food supplier and was not nearly as appetizing as these. We wish we could make these for all the residents so that they could get a taste of the good stuff! 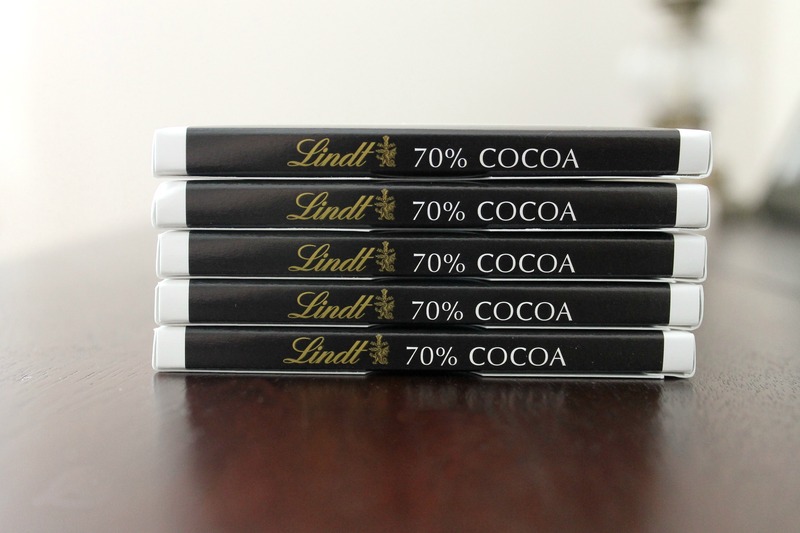 It’s quite important to use the best chocolate you can find for these, because the chocolate is the focal point of this treat. The filling is made in the food processor, which makes it simple to whip up. The base of these buns is tender and delicious brioche dough, which we can imagine would make excellent cinnamon rolls in the future. One thing we have to note about these is that is easy to let them overcook- the top looks lighter than the sides and the bottom. A few of ours got a little too brown, but they still tasted good! Transfer the dough to a bowl greased with butter and cover with plastic wrap or a clean kitchen towel. Let rise until doubled in bulk, about 1 hour. Meanwhile, make the filling. 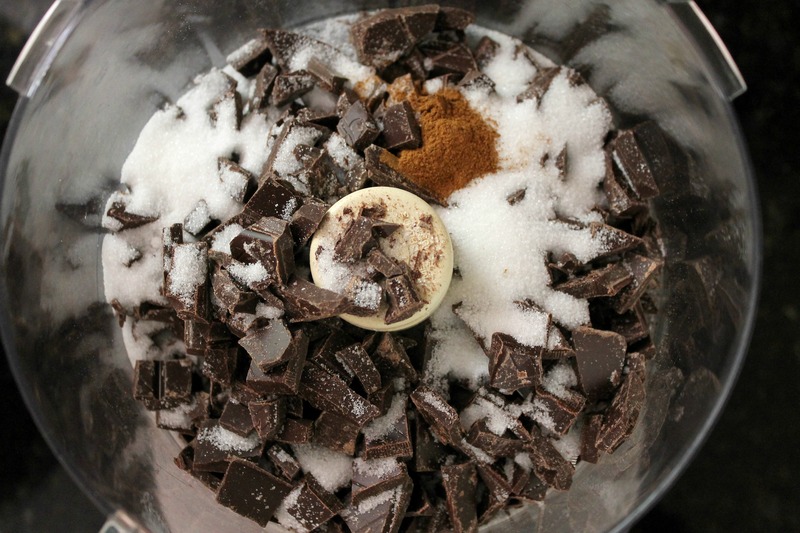 Combine the chocolate, sugar, and cinnamon in the bowl of a food processor. Process in pulses until the chocolate is finely chopped with some parts almost powdery. Add the butter and pulse again until incorporated. Generously butter the wells of a muffin tin. Once the dough has risen, turn it out onto a well floured work surface and gently deflate. Let rest for 5 minutes. Roll into a very large rectangle, about 12 x 20 inches, sprinkling with flour as needed to prevent sticking. Sprinkle the filling over the surface of the dough. 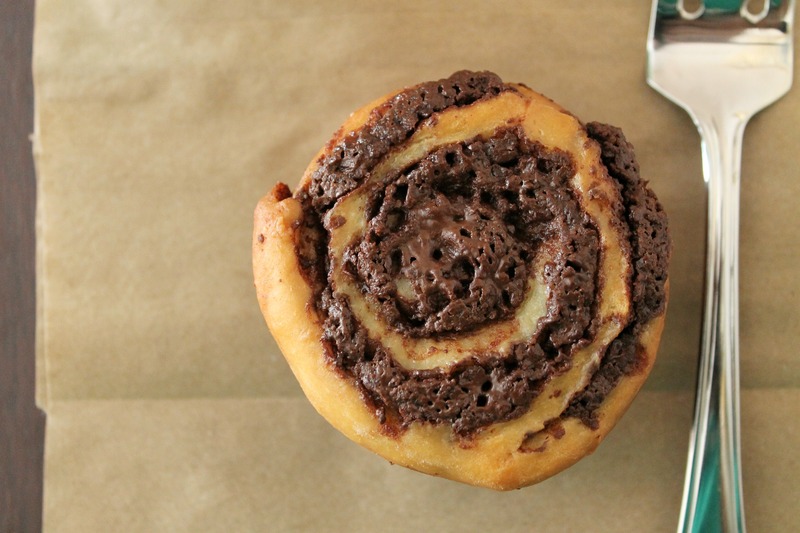 Tightly roll the dough up into a log, encasing the filling in a spiral pattern. Use a sharp serrated knife to slice the log into 12 equal pieces. Place each slice into the prepared muffin tin, with the cut side facing up. Cover loosely with plastic wrap and let rise 30 minutes. Preheat the oven to 350˚ F. Lightly brush the tops of the buns with egg wash. Bake for 15-20 minutes or until puffed and golden brown. Transfer to a cooling rack and let cool briefly. Gently unmold the buns and let cool until just warm. Serve warm. Side Note: We made a double batch in order to have some to freeze, which explains why there are five chocolate bars in the picture above! These look so good! The photography, by the way, is fantastic. Plus I like the recipes you both use, since their adapted from the same sources I usually pick from (Annie’s-Eats, Joy The Baker, CI/ATK, etc). Anyway, both of you guys are great writers and photographers, can’t wait to see more posts! Thanks! Yeah, we don’t know of too many other teenagers who have blogs (only one I think), and none of our friends are really into cooking, so it’s nice to hear from someone else who likes to cook and photograph it. Your photography looks great too! I hope you like our next post- it should be up in a few hours.